HRASM's October Meeting- Avoiding Wage & Hour Claims | Maryland SHRM State Council, Inc.
During this interactive discussion, participants will learn what hours are included in the Department of Labor’s (“DOL”) definition of “hours worked, the test for a job to qualify as exempt from overtime under the wage and hour law, the new DOL regulations governing the salary that must be paid to exempt employees, Maryland’s Wage Payment Law and how that affects your payroll practices, the DOL’s definition of an “independent contractor” and the potential liability that results from misclassification, what it means to pay an employee “on a salary basis” and what deductions can lawfully e made from an exempt employees salary, and the DOL’s new test for “joint employer” status and what that means for employers who rely on temp agencies for workers. 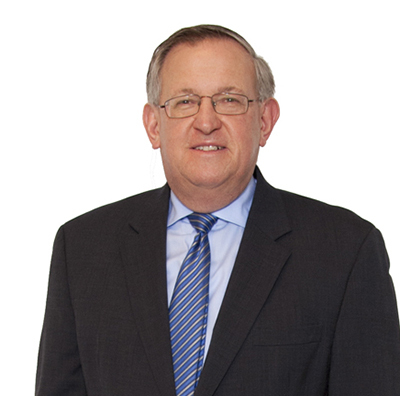 Jay Fries is an attorney whose practice is limited to representing employers in labor and employment law cases. He is an active member of the Maryland, Virginia and Baltimore County bar associations, and the Labor Law Section of the American Bar Association. Jay has authored numerous articles on employment law topics and frequently participates in employment relations seminars and programs. He is a former Chairman of the Maryland Chamber’s Employment Law committee, and received two Governor's Citations for work on Maryland's Drug-Free Workplace Initiative, as well as being named the SBA Attorney Advocate of the Year in 1992. Jay received his undergraduate degree from Washington & Lee University, and his law degree from the College of William & Mary. This meeting has been approved for 1 HR (General) recertification credits toward PHR, SPHR, and GPHR recertification through the HR Certification Institute. The use of this seal is not an endorsement by the HR Certification Institute of the quality of the program. It means that this program has met the HR Certification Institute's criteria to be pre-approved for recertification credit. For more information about certification or recertification, please visit the HR Certification Institute website at www.hrci.org. As a SHRM Preferred Provider, this meeting is preapproved for recertification credits for our recertifying professionals of the SHRM-CP or the SHRM-SCP credentials.